Browse these Boone Tavern photos to uncover the charming elegance of our Berea, Kentucky hotel. 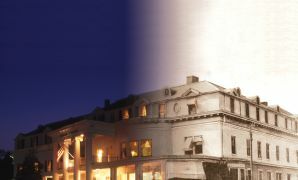 Our historic hotel celebrates its strong architectural design and antebellum intrigue. Photography for Boone Tavern website is provided by: Crawford Photography, Wes Brown Photography, Plan B Photography, Sarah Dills Photography and Liz Rose Photography.